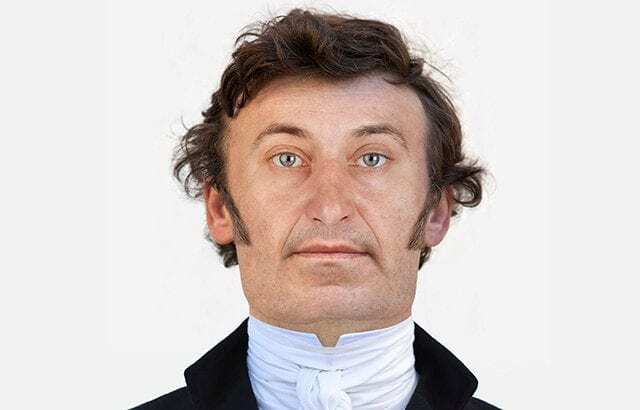 The haunting face of the only man to have ever assassinated a British prime minister has been seen for the first time – through a fascinating facial reconstruction. 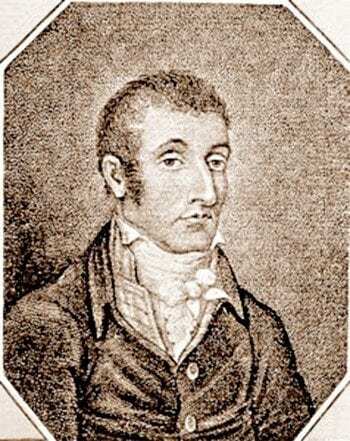 Angry businessman John Bellingham shot dead PM Spencer Perceval in the lobby of the Palace of Westminster in May 1812 before being convicted and hanged. 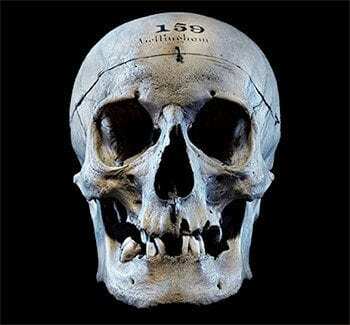 And 116 years on experts used Bellingham’s skull, which has been on display at Queen Mary Pathology Museum in London to create a life-like picture of the murderer. Using high tech computer software and a database of high-res photos forensic imaging experts at Queen Mary University of London have recreated the striking image. Carla Valentine, Museum Technician at Queen Mary’s Pathology Museum, said: “This is a novel way to engage the public with a previously one-dimensional ‘specimen’. “In this project, we specifically opted to reconstruct a well-known figure in order to reinstate his personality. “A skull which has been denuded of its facial features – and therefore its identity – has less of an impact on a museum visitor than being able to see the person’s face. The university came into possession of the skull because the punishment at that time for murder was hanged and anatomised. Experts used a large database of high resolution photographs of other human faces to create Bellingham’s own facial features. Each specific facial feature was also adjusted to fit with the underlying anatomy of Bellingham’s skull and facial muscles. Finally, computer software combined the two together to complete the face. Knowing that he was a male in his 40s and of British descent, forensic experts were able to use a database of tissue depth markers that apply to European males. By doing this it was possible to gauge the thickness of the tissues that covered Bellingham’s skull. During the reconstruction it was noticed that he had large eye sockets which led to high positioning of his eyebrows, while the height of the enamel on the skull was how the thickness of his lips were determined. Hew Morrison, forensic expert behind the portrait said: “I found the skull to be rather unusual looking, with quite a bulbous cranium and noticeable asymmetry of the chin. “John Bellingham would have had a long, narrow, slightly downturned nose. “This was apparent when I saw the skull as the nasal aperture was indeed quite significant in length with a downward nasal spine. Sideburns were added because previous drawings of him showed him with sideburns and a suitable hair and eye colour were added because these elements cannot be determined through a skull. He is pictured wearing a Jabot-type necktie and a dark woolen overcoat with his collar turned up because of how men of his age dressed at the time. Bellingham was believed to be 42 when he was hanged. in 1803 he imprisoned in Russia after a business venture he was involved in broke down and he was arrested while trying to leave the country without his debts paid. He returned to the UK a year later in 1804 after securing his and petitioned for the UK government to compensate him which was refused. Eight years later he waited in the lobby of parliament with a gun in a secret pocket in his coat. When the prime minister appeared he whipped out the gun and shot him in the heart in an act of revenge before calmly sitting down on a bench and waited to be arrested. He was hanged in public on May 18 that year following a trial at the Old Bailey.